Looking for Pre-86 & Post-86 Dealer Sample machine guns in large lots or single guns. Demo letter no problem for post samples. 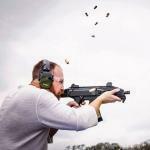 Jon: I am working on a trade on a couple of nice HK MP5s. Interested?? Thanks, Phil, just emailed you back! I am a FFL/SOT in La Vernia,TX. I am looking to sell a post'86 M53 Yugo Zastava in 8mm along with the 7.62 NATO conversion kit, links, drums, linkers; RPD conversion 7.62x39mm along with extra drums and links; Galil SAR 5.56mm conversion with some extra mags... All are on Form 3's and require LE letter. I shot you a PM with my contact info - please feel free to give me a call and we will discuss details. Looking forward to hearing from you, sir. I have a Pre-Sample Auto-Ordnance Thompson Submachine gun M1A1 for sale. Its in very nice shape & I have the original barrel & a new threaded barrel, threaded Cutts Comp and newer suppressor for it also. Its a Bowers Versa45 silencer with the correct threads on it for the barrel that is on it now. The original; barrel has the Cutts Comp welded to it. Email me if your interested in any pics, videos or specs. Emailed you pics & video of the gun running. Let me know if you have any other questions. I have a pre May MG-34 with two bolts, three barrels all trued at Ohio Ordinance Works, and a double barrel carrier. Runs well! Asking 14K.